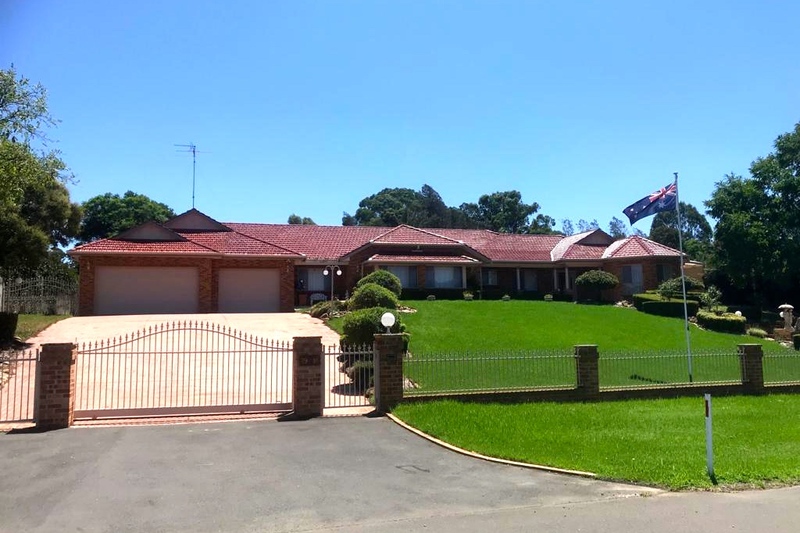 We are located in Wallacia Western Sydney on a beautiful property. A regular program of teaching and Buddhist Practise will soon be up and running. We are putting up new programs with a family focus and children are very welcome. We are delighted to welcome His Holiness the 42nd Sakya Trizin to Western Sydney and our new Centre premises in Wallacia near Penrith. 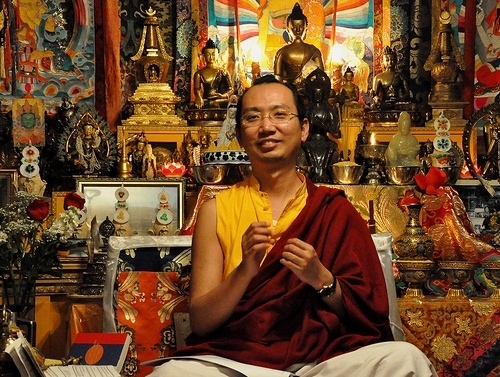 Following the tour, ongoing guidance is available at our Centre by Dungyud Tulku Rinpoche. Dungyud Tulku Rinpoche is the Spiritual Director of the Centre. 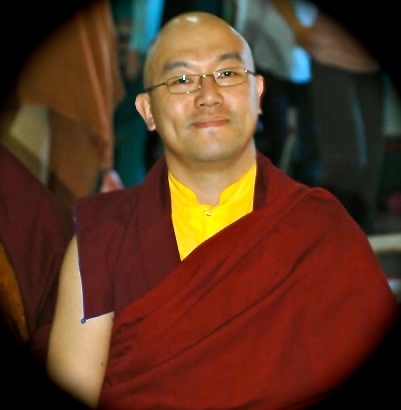 Rinpoche is available for ongoing guidance. He is very approachable, has a good command of English and is happy to answer your questions. This is a rare opportunity to receive teachings, empowerments & blessings from an authentic Tibetan Buddhist Lineage Master. We are delighted His Holiness the 42nd Sakya Gongma Trizin Rinpoche has agreed to a fantastic program including an event for families & their children. You can purchase packages which enable you to go to all events for a greatly reduced cost. Often people have questions about the practical application of Buddhist Principles in regard to relationships and family life. His Holiness is a family man and it will be of great interest to those who attend to have the opportunity to engage via a Q & A . Enjoy a Vegetarian Feast Dinner in the company of His Holiness - including Music and Dance Entertainment. His Holiness the 42nd Throne Holder Sakya Gongma Trizin Rinpoche, is the eldest son of His Holiness Sakya Trichen (the 41st Sakya Trizin). He is considered one of the most highly qualified lineage masters of Tibetan Buddhism. Renowned for his erudition and the clarity of his teachings, His Holiness the 42nd Sakya Trizin comes from the ancient Khön family, whose successive generations have provided an unbroken lineage of outstanding masters. On March 9, 2017, His Holiness accepted the mantle of leadership from his esteemed father and Root Guru, in his new capacity as the 42nd Sakya Trizin, Throne Holder of the lineage. 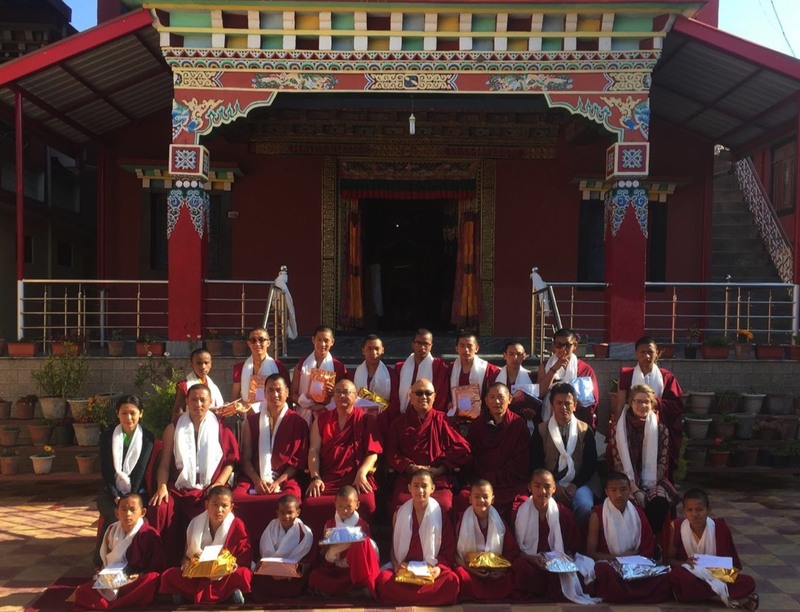 In doing so, he will continue to guide & inspire Dharma students from all over the world with his wisdom, genuine qualities of unaffected simplicity, humility and complete honesty, by presenting the Buddha’s teachings in the most authentic way, while maintaining the purest of Buddhist traditions. Sakya Tharpa Ling has an ancient lineage connection to the Dirru Monastery. His Eminence Dungyud Tulku Rinpoche is the 14th reincarnation of Drirru Dungyud Rinpoche. He holds the position of the current joint head of the Dirru monastery locations in Tibet and India. This is an authentic lineage authority in the Sakya School of Tibetan Buddhism. 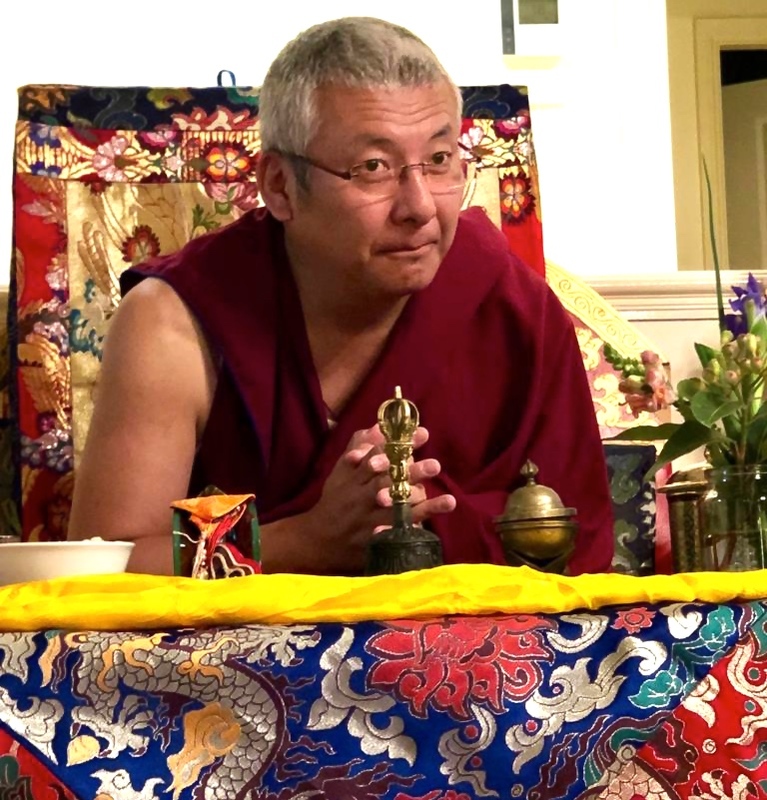 The present Dungyud Tulku is the 14th reincarnation of Drirru Dungyud Rinpoche. He was born in Swayambunath,Kathmandu, Nepal after the passing of the previous Dungyud Tulku Rinpoche. 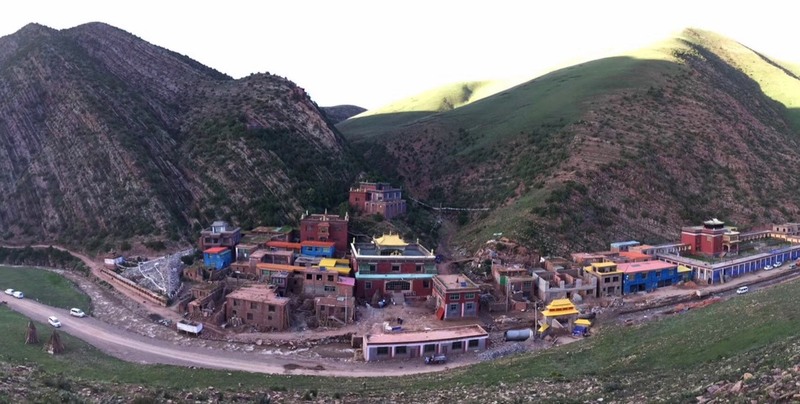 Following a prediction about his reincarnation by His Holiness the 41st Sakya Gongma Trichen Rinpoche (The head of the Sakya Order of Tibetan Buddhism), Gyalsay Rinpoche and his retinue of monks searched for him. They located the boy in a house 1 km away from the Dirru Monastery in Bir. It is said that here was very little confusion about the successful search, as a clear sign was written in a letter. He was four years old. His Holiness spent about a year to authenticate the reincarnation of Dungyud Rinpoche. In 1979, at the age of five, he was confirmed and recognised as the 14th Dungyud Tulku Rinpoche. He was offered the ceremonial Dharma Robe at his home in Swayambunath, Kathmandu, Nepal with the late HE Tarig Tulku Rinpoche. 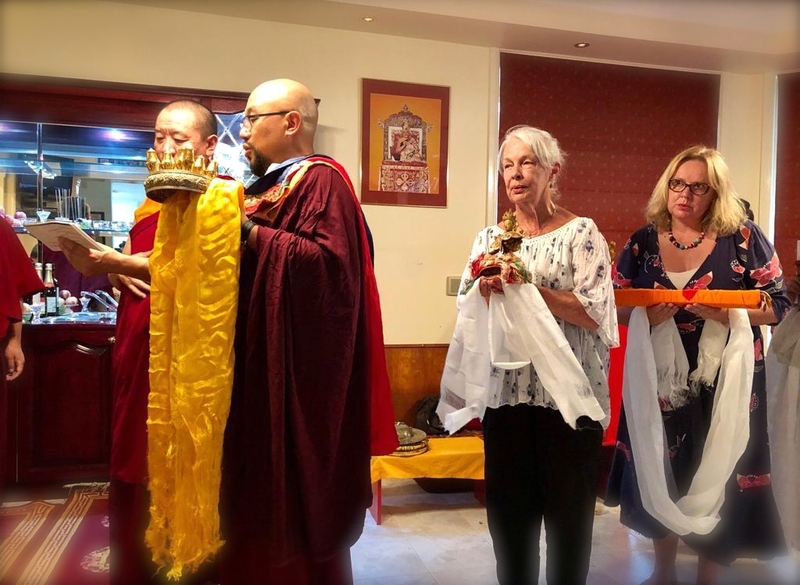 Afterwards the main ceremonial Dharma Robe was given at His Holiness’ palace by His Holiness at the Phodrang, Dehra Dun, India. Between 1979-1980 Dungyud Rinpoche undertook studies under the guidance of personal teacher called Choe-Gyun, which in Tibetan means “Source of Dharma”. 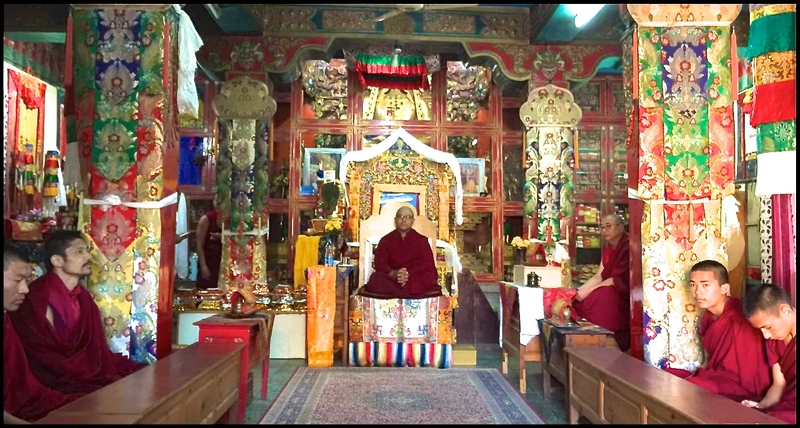 The late Gyalsay Rinpoche studied under the guidance of the same teacher. This traditional teacher was very strict and required strong discipline of his students. At the same time he was jolly, had a sense of humour and a powerful presence. Under the guidance of His Holiness 41st Sakya Trichen, at the beginning of 1980 the monastery chose a new teacher for Rinpoche - Lama Kalsang Gyaltso . 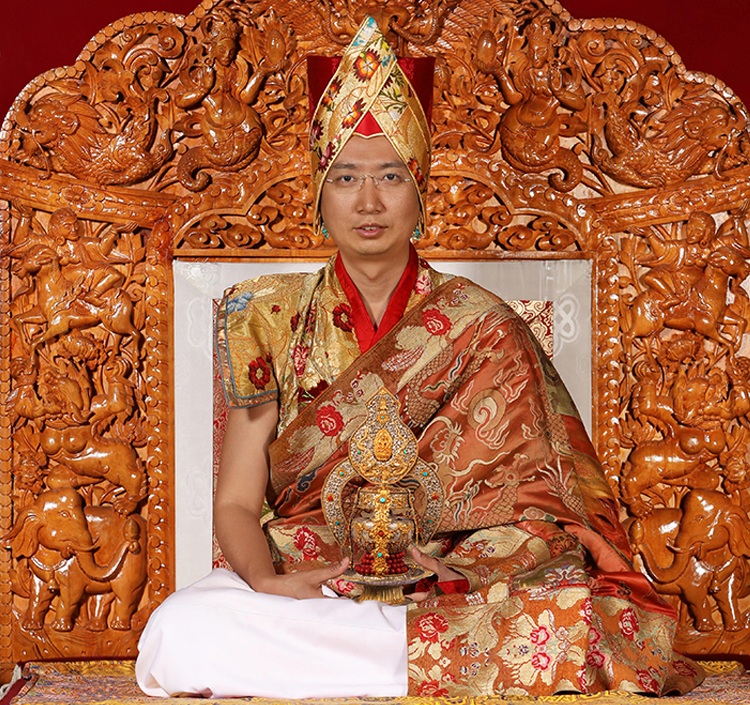 He is great scholar as well as a professional ritual master and Tibetan Buddhist practitioner. in 1980s at the age of 7 Dungyud Rinpoche received his first uncommon Lam-Dre teaching (Lam-Dre Lob-Shey) in Pruwala, Uttaranchal, India from His Holiness 42nd Sakya Gongma Trichen Rinpoche. Lam-Dre is a complete and profound Tantrayana dharma teaching. The length of the teaching cycle is between 6 week and 3 months. During 1985 at the age of 12, Rinpoche together with his teacher Lama Kalsang Gyaltso received the first Kalachakra empowerment from His Holiness Dalai Lama in Bodhgaya followed in 1986 when Rinpoche received the second Kalachakara Empowerement from His Eminence Chogye Trichen Rinpoche. 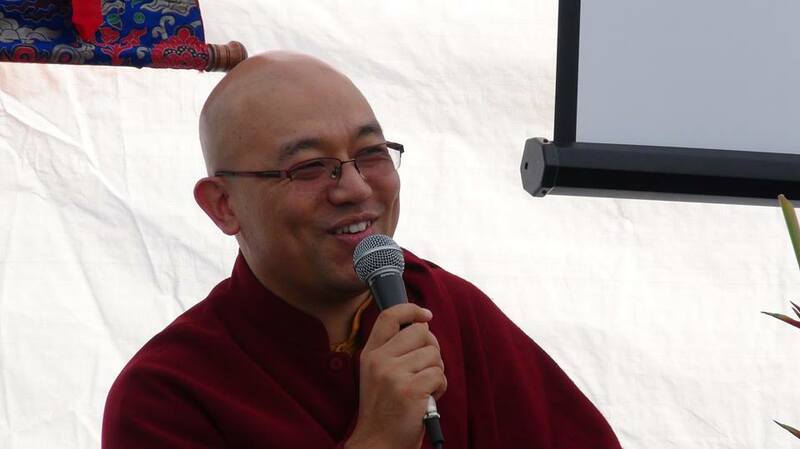 He was joined for this event by HE Tarig Tulku Rinpoche. 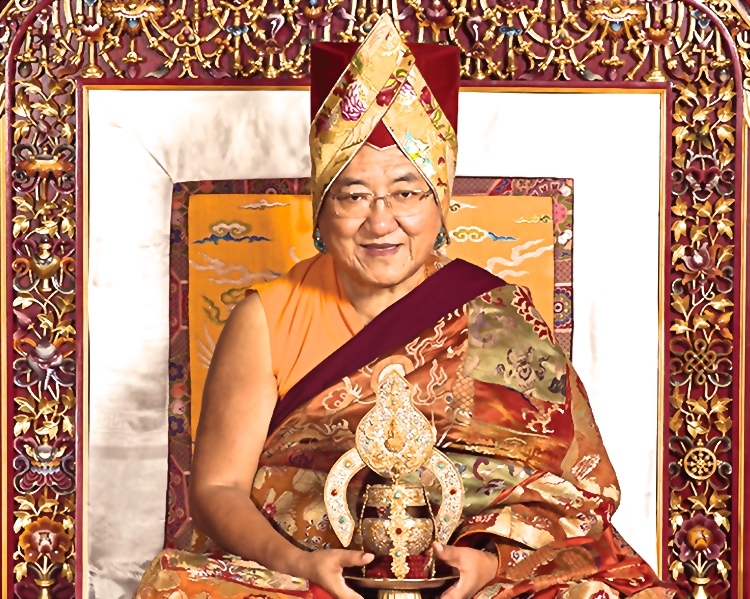 At the age of 15, in 1988, Rinpoche started to receive the profound and great Empowerments of the Collection of Tantas from His Holiness the 42nd Sakya Gongma Trichen Rinpoche. The completion of this vast cycle of major empowerments (more than 360 each lasting a minimum of 2 days) took 10 years. It finished in 1998. Rinpoche also continued to learn most of the important traditional monastic rituals from his late teacher Lama Kalsang Gyaltso as well as completed all the necessary long retreats. Around 1996 Rinpoche received a second Lam-Dre ( a Lam-Dre Tsok-She or “common Lam-Dre) from His Holiness 42nd Sakya Trichen Dorje Chang at Sakya Centre in Rajpur, India. Between 1990 and 1996 Dungyud Rinpoche undertook further studies at a well-known Buddhist University (Sakya College) in India, Dehra Dun. He graduated with a Master Degree in Buddhist Philosophy and was honoured with a Graduation Ceremony in 1997. The same year (1997), he received the Lam-Dre Lob-Shey (uncommon Lam-Dre) from His Holiness the 42nd Trichen Dorje Chang in Australia at Vajradhara Gonpa near Kyogle in northern NSW. Followed by another cycle of Lam-Dre Teachings in 2009 from His Holiness in Sydney, Australia. (Lam-Dre Tsok-Shey). In 2011 Dungyud Rin[poche received a further cycle of Lam-Dre teachings (Lam-Dre Tsok-Shey) from 41st His Holiness Sakya Gongma Trichen Dorje Chang Rinpoche and review teachings from 42nd His Holiness Sakay Gongma Trizin Rinpoche at Tsechen Kunchap Ling, Walden, New York State. During 2017 Dungyud Rinpoche received a common Lam-Dre teachings (Lam-Dre Tsok-Shey) from His Holiness 42nd Sakay Gongma Trizin Rinpoche at Sakya Centre, Rajpur, Dehra Dhun, India. 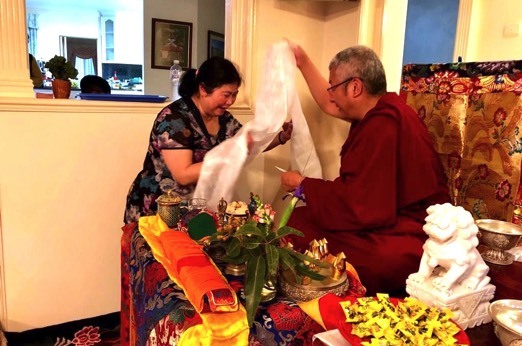 The latest cycle of Lam-Dre Teachings Rinpoche attended was in 2018 with His Holiness , the 41st Sakya Gongma Trichen Rinpoche and review teachings from His Holiness the 42nd Sakya Gongma Trizin Rinpoche again Tsechen Kunchap Ling, Walden, New York State. His Holiness the 41st Sakya Trizin Rinpoche. Former Head of the Sakya Lineage. His Holiness the 42nd Sakya Gongma Trizin Rinpoche. Current Head of the Sakya Lineage. 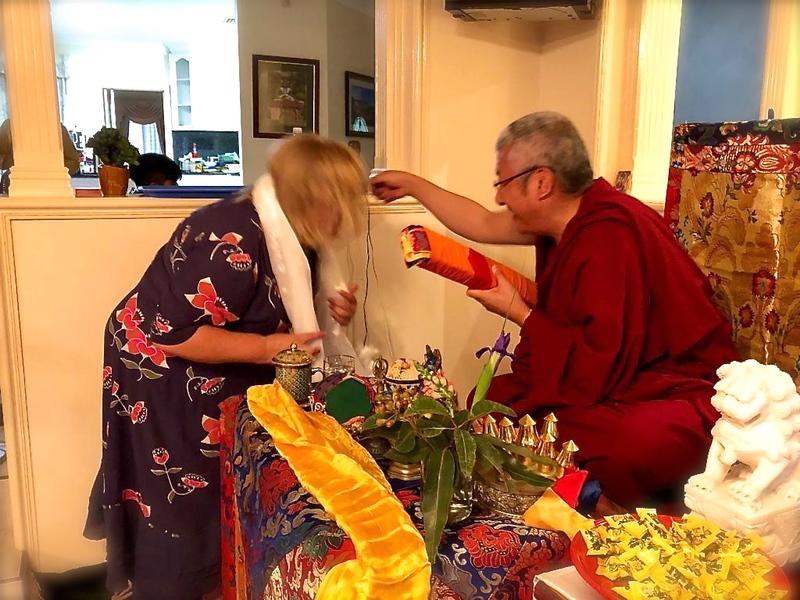 Sakya Tharpa Ling – Sydney, NSW Australia - A brief history. His Holiness the 41st Sakya Gongma Trichen Dorje Chang and the 42nd Sakya Gongma Trizin Ratna Rinpoche are the supreme head of Sakya Tharpa Ling Buddhist Centre. Sakya Tharpa Ling has an ancient and authentic connection by lineage to the Dirru Monastery both in Tibet and India. 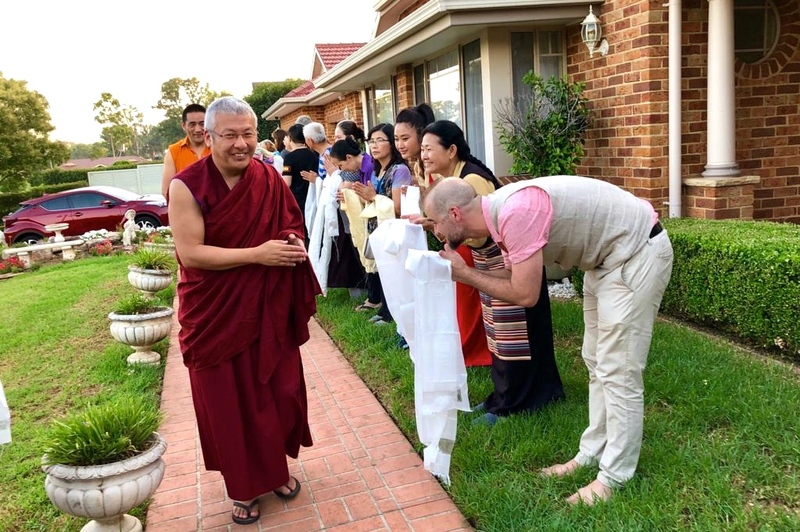 Here in Australia, Sakya Tharpa Ling’s presence in New South Wales began over 30 years ago when in 1988 His Holiness the 41st Sakya Gongma Trichen Rinpoche appointed Gyalsay Tulku Rinpoche as Sakya Tharpa Ling’s (Sydney) Spiritual Director. 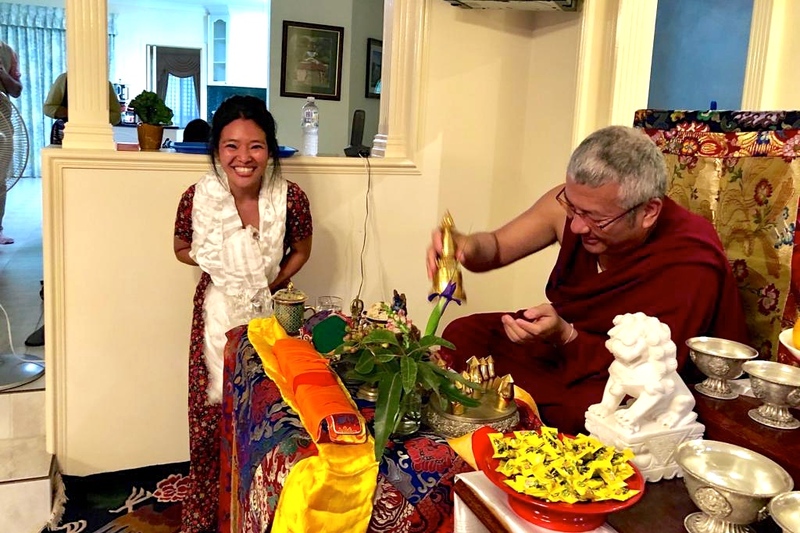 Gyalsay Tulku Rinpoche was succeeded in 1993 and his legacy continued by Dungyud Tulku Rinpoche, who became the Centre’s Spiritual Director at the time of adoption. During this time Dungyud Tulku Rinpoche also held the position of Head of the Dirru Monastery in Tibet and India. In 1993 after the passing away of Gyalsay Tulku Rinpoche, with the kind help and guidance from His Holiness 41st Sakya Gongma Trichen Rinpoche and a number of the committee members and students of Late Gyalsay Rinpoche, the Centre was able to remain open until the arrival of Khenpo Ngawang Damchoe, who had been selected by His Holiness, Dungyud Tulku Rinpoche and the monastery. During his legacy (1994- 2006) Khenpo Ngawang Damchoe worked tirelessly as Abbot and resident teacher for Sakya Tharpa Ling in Sydney. He was assisted throughout this time, by the committee, numerous students and supporters who all offered tremendous help and worked constantly for the benefit of the Centre. In 2006 the time came for Dungyud Rinpoche to actively take responsibility of the Centre in Sydney. He has since then kindly offered innumerable teachings, empowerments and dharma classes. 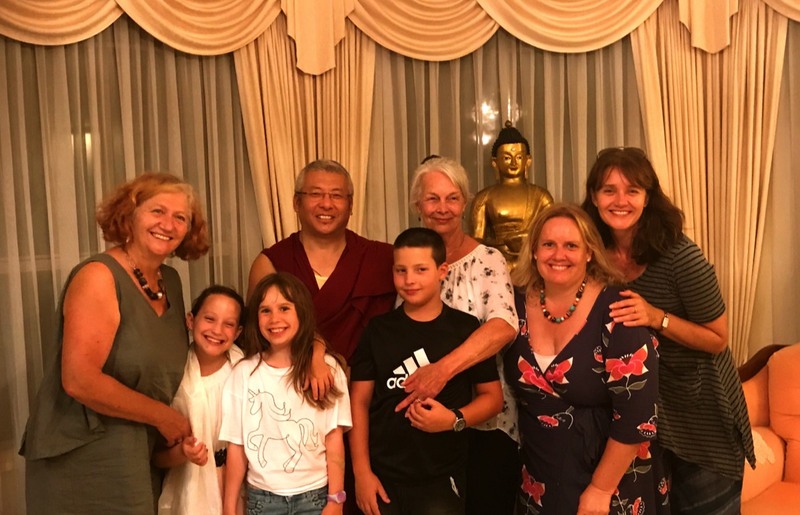 In conjunction with the hardworking committees and the vast amount of assistance given by previous members, students and friends, Rinpoche has continued a strong presence of the Sakya Lineage in Sydney. 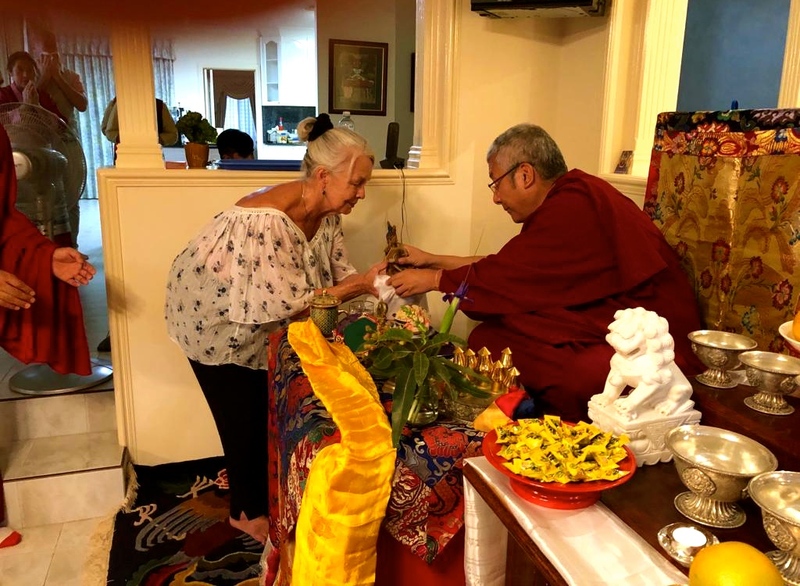 Rinpoche is deeply grateful and appreciates the efforts and dedication of each and every person that has assisted in Sakya Tharpa Ling over the last 30 years. 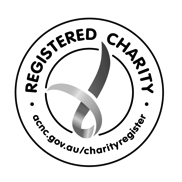 Sakya Tharpa Ling is an Incorporated Non-Profit Association as well as a registered Charity with the ACNC. 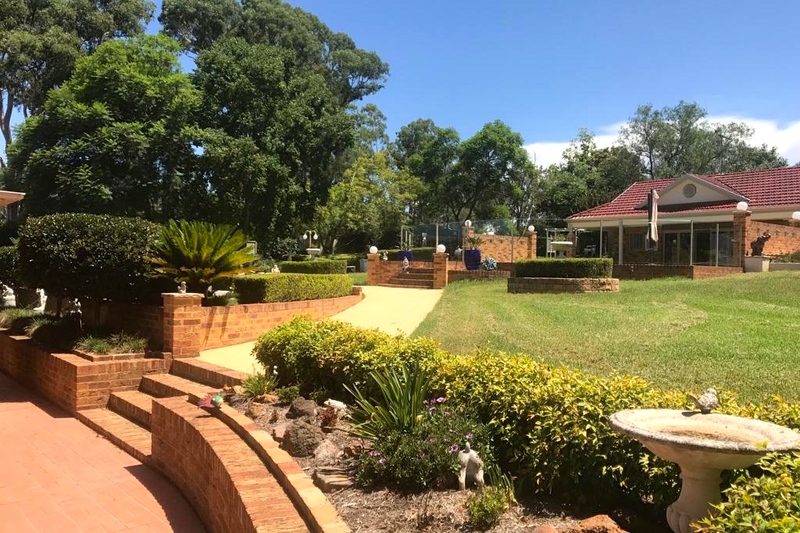 The Centre and has recently opened its new Premises in Wallacia, Sydney, New South Wales. A regular program of teaching, meditation as well as activities for families and children is going to be offered at the Wallacia Centre. If you would like to be informed of upcoming centre activities, visit and follow our facebook page (link in the footer of webpage) and/or send us an email or phone to request your name being added to our mailing list. 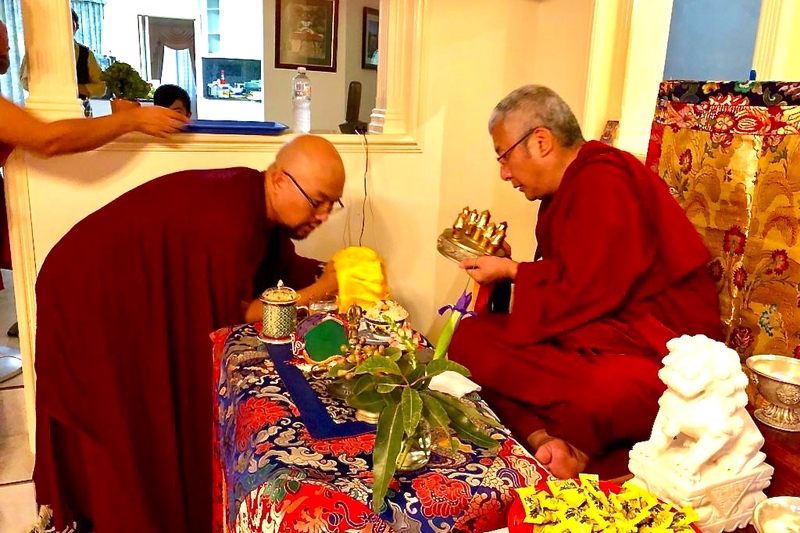 At the end of January 2019 a high Sakya Teacher and Lineage Holder, His Eminence Luding Khenchen Rinpoche visited the Centre and held a blessing ceremony, an auspicious event enjoyed by all.